Amelia is a 2nd year student at the University of East Anglia. She’s been a PS Student Ambassador since the end of last year and has been busy raising money at the University. She tells us why she decided to join Team Green and why she wants others at her Pharmacy School to get involved too! I am a 2nd Year MPharm Pharmacy student at the University of East Anglia. 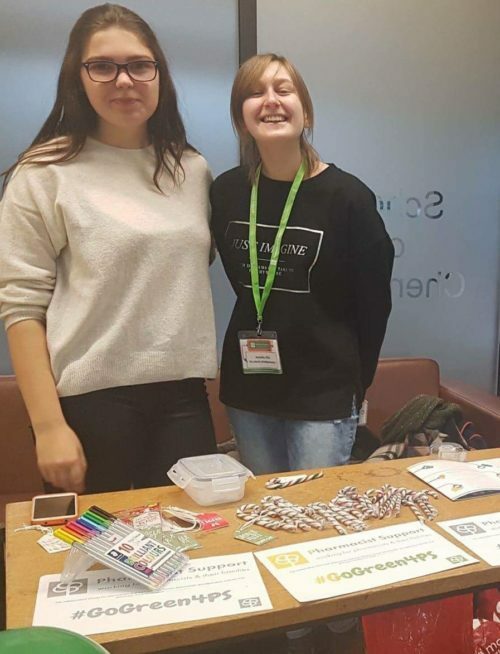 I am the only Pharmacist Support Student Ambassador here, and am in the middle of planning my second fundraising event for Pharmacist Support- a Wear Green Day on Monday 26th February, raising awareness for the charity and collecting donations. As part of my role as Charity Representative for the Pharmacy Society at UEA, I was having a look at potential charities I wanted our fundraising events to support. I first heard about Pharmacist Support from a fellow Pharmacy student in my year, who told me a bit about the charity and suggested that Pharmacist Support is a worthwhile and relevant charity for us to support. On researching the charity myself, I found out a bit more about what Pharmacist Support do and how they give back to Pharmacists, their families and Pharmacy students who need a bit of extra support and help. This really interested me and Pharmacist Support quickly became an organisation I care a lot about and am very grateful to have as someone studying to become a Pharmacist in the future. What fundraising activities have you organised or got planned? With other volunteers at UEA’s School of Pharmacy, I arranged a candy cane secret message and delivery service, selling 86 candy canes and raising £52.56. We are also planning a Wear Green Day, to raise further awareness of the charity within our Pharmacy School and collect some donations. The charity is so relevant to my own future career and does so much to support people working in this sector. 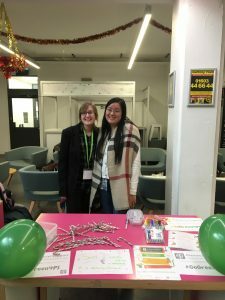 I wanted to help out, as much as I could and I wanted some donations raised by UEA’s Pharmacy Society to go towards a charity specifically for Pharmacists. The charity is so important and worthwhile, and as with all charities, Pharmacist Support needs help in order to continue helping others. Without the volunteers the work they do wouldn’t be possible which would be unfortunate and disadvantageous to future generations of Pharmacists and their families, if ever they need help.